Hand-crafted in Gibson's acoustic facility in Bozeman, Montana, Eric Church's groundbreaking new acoustic, Hummingbird Dark, is a result of Church's personal artistic vision. With its translucent Ebony Burst lacquer finish, dark mother of pearl fingerboard inlay, black body binding, and a matching new Hummingbird Dark pickguard, this Limited Edition acoustic makes a powerful statement. 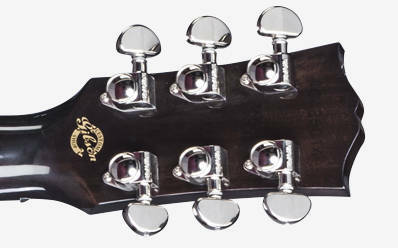 Upgraded performance features include a more slender 4'' body depth for a superior tonal balance and an LR Baggs VTC pickup for completely natural acoustic sound reproduction when amplified. 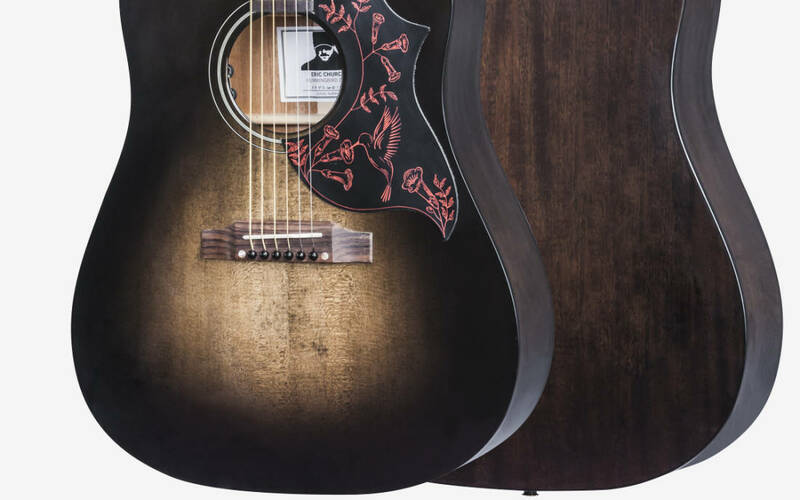 Body depth requested by Eric Church is slightly slimmer and superbly comfortable to play while the Translucent Ebony Burst gives the Eric Church Hummingbird Dark an instantly reconizeable. 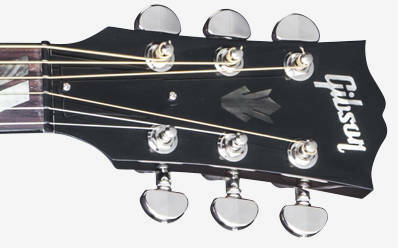 The pickup built-in is L.R.Baggs precise VTC system and playing feel is superb with "breaks" or "rolls" in edges of the fingerboard into the curve of the neck profile. • Premium setup: Utilizing state-of-the-art German engineered Plek technology to create the finest playing surface possible. Hand finished for the world's finest feel and playability. • Fingerboard and bridge: New penetrating and finishing oil lasts longer and maximizes woods natural vibrancy. Radius:30.48 cm / 12 "